N 45° 49' 14" and E 8° 49' 30"
Varese in Provincia di Varese (Lombardy) with it's 76,851 residents is a town located in Italy about 328 mi (or 527 km) north-west of Rome, the country's capital place. Time in Varese is now 11:36 AM (Sunday). The local timezone is named Europe / Rome with an UTC offset of 2 hours. We know of 9 airports nearby Varese, of which 4 are larger airports. The closest airport in Italy is Varese / Venegono Airport in a distance of 6 mi (or 10 km), South-East. Besides the airports, there are other travel options available (check left side). There are several Unesco world heritage sites nearby. The closest heritage site in Italy is Monte San Giorgio in a distance of 6 mi (or 10 km), North-East. We collected 6 points of interest near this location. Need some hints on where to stay? We compiled a list of available hotels close to the map centre further down the page. Being here already, you might want to pay a visit to some of the following locations: Induno Olona, Buguggiate, Gazzada Schianno, Casciago and Azzate. To further explore this place, just scroll down and browse the available info. Let's start with some photos from the area. Conferenza stampa di presentazione Pierpaolo Cassarà, nato a Busto Arsizio il 15 settembre 1967, è il nuovo Presidente dell'A.S. 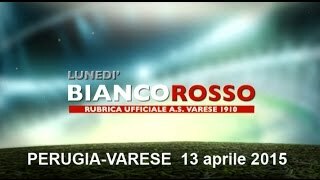 Varese 1910. L'incontenibile esultanza finale del Poz, dei giocatori e di tutti i tifosi! Nella prima giornata di campionato del torneo WodFellas la nostra squadra incontra in casa il team di Milano. 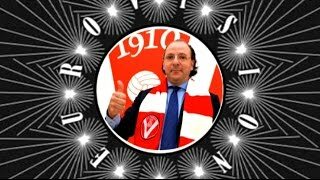 #forzaCrossFitVarese. 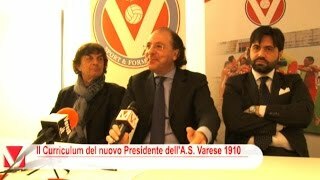 PIERPAOLO CASSARA': il discorso di insediamento del Presidente del Varese. 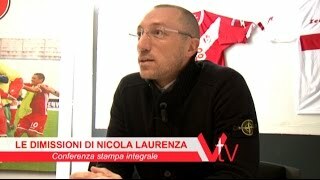 NICOLA LAURENZA: Conferenza stampa integrale. Located at 45.8167, 8.83333 (Lat. / Lng. ), about 0 miles away. The Battle of Varese was fought on 26 May 1859 at Varese. It was an engagement of the Second Italian War of Independence, fought between the Italian volunteers formation of the Hunters of the Alps, led by Giuseppe Garibaldi, against Austrian troops. The Austrian defeat allowed the movement of the Hunters towards Como, and obliged the Austrians to keep troops on the northern part of the front. Located at 45.8086, 8.84806 (Lat. / Lng. ), about 1 miles away. PalaWhirlpool is an indoor sporting arena located in Varese, Italy. The seating capacity of the arena is for 5,300 people. It is currently home of the Pallacanestro Varese basketball team. The arena hosted the 1970 Intercontinental Cup basketball tournament. Located at 45.8361, 8.80239 (Lat. / Lng. ), about 2 miles away. The district of Mendrisio (also called Mendrisiotto) is the southernmost district of canton of Ticino and of Switzerland. To its north lies the district of Lugano. It is surrounded on the other three sides by Italy: to the east and south by the province of Como, and to the west by the province of Varese. It has a population of 49,022 (as of 31 December 2011). Located at 45.8667, 8.98333 (Lat. / Lng. ), about 8 miles away. The Olona (Ulona, Urona or Uòna in Western Lombard) is a 71 km long Italian river, which runs through the provinces of Varese, Milan and Pavia. The Olona has more than one source; in fact it has six main springs. Located at 45.8556, 8.82306 (Lat. / Lng. ), about 2 miles away. Lago di Ghirla is a lake at Valganna in the Province of Varese, Lombardy, Italy. Basically it is a lake in Italy. In some pictures there is snow on the lake so obviously it is somewhere where it is cold sometimes. Located at 45.9, 8.81667 (Lat. / Lng. ), about 6 miles away. Varese Lake (Italian: Lago di Varese) is a lake of glacial origin in Lombardy, in the north of Italy. It has an area of 14.5 km², a medium depth of 11 m, and a maximum depth of 23 m.
Located at 45.8167, 8.73333 (Lat. / Lng. ), about 4 miles away. Milanello Sports Centre, commonly referred to as simply Milanello, is the training facility of Italian professional football club Associazione Calcio Milan. Built in 1963, the centre consists of 160,000 square metres, including a pinewood and a little lake. It is located between the towns of Carnago, Cassano Magnago and Cairate, in the Province of Varese, about 40 km northwest of Milan. Located at 45.707, 8.83339 (Lat. / Lng. ), about 8 miles away. Lago di Ganna is a lake at Valganna in the Province of Varese, Lombardy, Italy. Located at 45.8833, 8.81667 (Lat. / Lng. ), about 4 miles away. 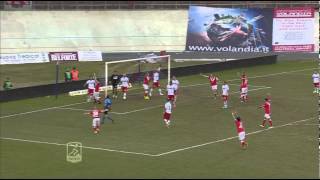 The Stadio Franco Ossola (also called Luigi Ganna Velodrome) is a sports stadium and velodrome currently in use by the football team A.S. Varese 1910. Constructed in 1925, and originally named the Stadio del Littorio, the stadium was renamed in September 1950 in memory of Franco Ossola, an Italian from Varese and player for Torino F.C. who died in 1949 in the Superga air disaster. Located at 45.8346, 8.80061 (Lat. / Lng. ), about 2 miles away. Lago di Comabbio is a lake in the Province of Varese, Lombardy, Italy. At an elevation of 243 m, its surface area is 3.4 km². Located at 45.7686, 8.69278 (Lat. / Lng. ), about 7 miles away. Lago di Monate is a lake in the Province of Varese, Lombardy, Italy. At an elevation of 266 m, its surface area is 2.5 km². Located at 45.7953, 8.66111 (Lat. / Lng. ), about 8 miles away. Campo dei Fiori di Varese is a mountain of Lombardy, Italy, It has an elevation of 1227 metres. Located at 45.8956, 8.80556 (Lat. / Lng. ), about 5 miles away. Monte Martica is a mountain of Lombardy, Italy, It has an elevation of 1032 metres. Located at 45.8831, 8.8 (Lat. / Lng. ), about 4 miles away. Monte Minisfreddo is a mountain of Lombardy, Italy, It has an elevation of 1047 metres. Located at 45.8667, 8.83333 (Lat. / Lng. ), about 3 miles away. Monte Monarco is a mountain of Lombardy, Italy, It has an elevation of 858 metres. Located at 45.8628, 8.84111 (Lat. / Lng. ), about 3 miles away. Monte Piambello is a mountain of Lombardy, Italy. Located at 45.9225, 8.85194 (Lat. / Lng. ), about 7 miles away. Poncione di Ganna is a mountain of Lombardy, Italy. Located at 45.8908, 8.84083 (Lat. / Lng. ), about 5 miles away. Arcumeggia (Arcümégia in local dialect) is a fraction of the municipality of Casalzuigno in the province of Varese, in Italy. Located at 45.9172, 8.71694 (Lat. / Lng. ), about 8 miles away. Gallarate railway station (Italian: Stazione di Gallarate) serves the city and comune of Gallarate, in the region of Lombardy, northern Italy. Opened in 1860, it forms part of the Rho–Gallarate–Arona railway, and is a terminus of two secondary railways, the Gallarate–Varese railway and the Gallarate–Laveno railway. The station is currently managed by Rete Ferroviaria Italiana (RFI). However, the commercial area of the passenger building is managed by Centostazioni. Located at 45.6586, 8.80083 (Lat. / Lng. ), about 11 miles away. Varese railway station (Italian: Stazione di Varese) serves the town and comune of Varese, in the region of Lombardy, northern Italy. Opened in 1865, it is a terminus and junction of two secondary railways, the line to Gallarate and the line to Porto Ceresio, respectively. 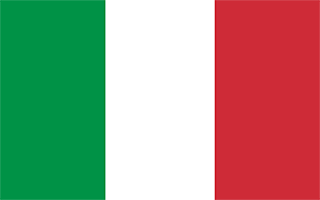 The station is currently managed by Rete Ferroviaria Italiana (RFI). However, the commercial area of the passenger building is managed by Centostazioni. Located at 45.8167, 8.83222 (Lat. / Lng. ), about 0 miles away. Mendrisio railway station is a railway station in the Swiss canton of Ticino and municipality of Mendrisio. The station is on the Swiss Federal Railways Gotthard railway, between Lugano and Chiasso, and is also the junction for the Mendrisio–Stabio railway, currently only used for freight traffic, but being rebuilt as an international connection to Varese. Located at 45.8692, 8.97861 (Lat. / Lng. ), about 8 miles away. Gazzada-Schianno-Morazzone is a railway station in Italy. Located on the Gallarate–Varese railway, it serves the municipalities of Gazzada Schianno and Morazzone. Located at 45.7786, 8.82472 (Lat. / Lng. ), about 3 miles away. Ponte Tresa is a railway station in the municipality of Ponte Tresa in the Swiss canton of Ticino. The station is the terminus of the metre gauge Lugano–Ponte Tresa railway (FLP), from Lugano. The station is served by FLP trains on line S60 of the Ticino rapid transit network, which operate every 15 minutes between Lugano and Ponte Tresa, with trains every 30 minutes at weekends and evenings. Autopostale buses connect the station to Luino, Monteggio and Novaggio. Located at 45.9697, 8.86 (Lat. / Lng. ), about 10 miles away. Caslano is a railway station in the municipality of Caslano in the Swiss canton of Ticino. The station is on the metre gauge Lugano–Ponte Tresa railway (FLP), between Lugano and Ponte Tresa. The station is served by FLP trains on line S60 of the Ticino rapid transit network, which operate every 15 minutes between Lugano and Ponte Tresa, with trains every 30 minutes at weekends and evenings. The station has a single platform, which is used by trains operating in both directions. Located at 45.9771, 8.87558 (Lat. / Lng. ), about 11 miles away. These are some bigger and more relevant cities in the wider vivinity of Varese. Massimo Ranieri \"Sogno E Son Desto 400 Volte\"